The Meadows at Tiffany Pines Townhomes is a 40-unit townhouse project in Bridgewater Township, Pennsylvania. 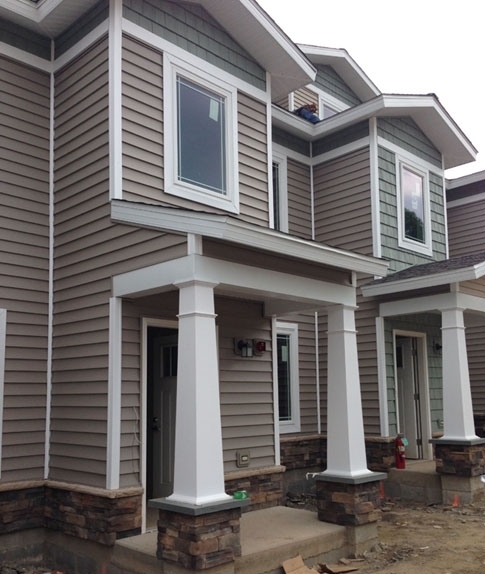 The project features two and three bedroom units of one, two, and three stories. The design promotes green energy by use of solar thermal hot water, solar photovoltaic panels, and environmentally friendly building products. The contractor also separated waste inorder for excess materials to be recycled. Each tenant will be supplied with a "Green Living Guide" explaining the environmentally friendly elements of the building design along with ideas on how they live "greener".